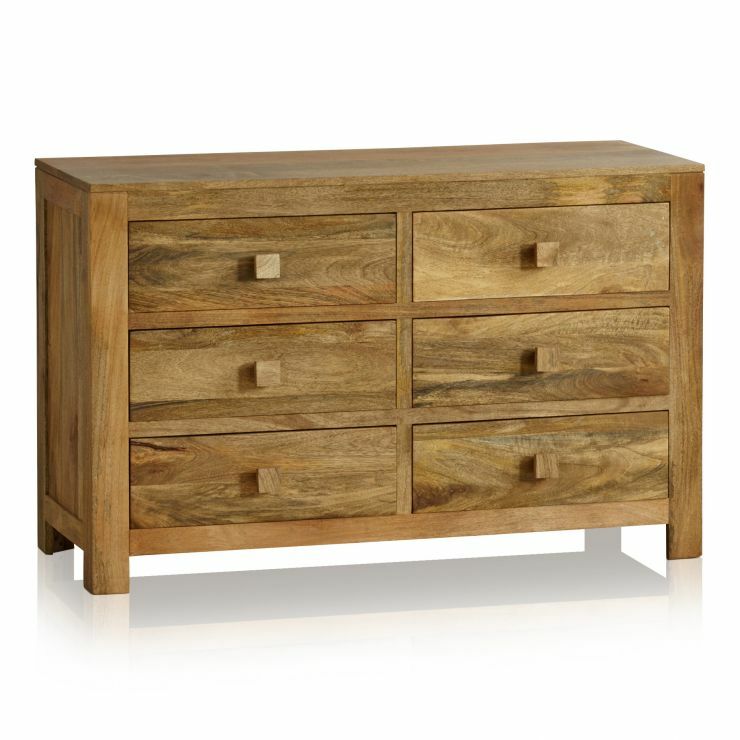 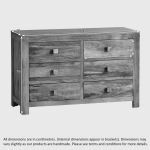 The Mantis Light Natural Solid Mango Six Drawer Chest is a gloriously sturdy bedroom storage chest with a design quality that is both eye-catching and elegant. 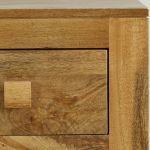 Our drawers are crafted with strong and attractive dovetail joints. 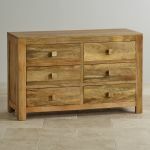 Plus, every inch of every drawer including the back, bottom and runners is solid mango - not a single veneer to be seen. 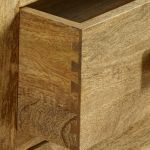 The mango wood is displayed in its most beautiful, natural state, with only a protective wax finish applied to the timber. 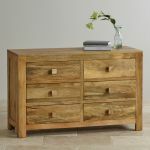 The Mantis Light collection offers a fantastic selection of bedroom, dining room and living room furniture; explore the whole range and discover how easy it is to co-ordinate your home.